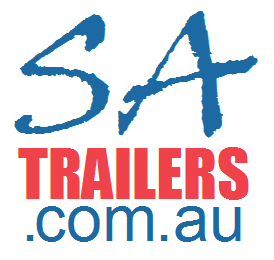 SA Trailers now offers Trailer Pay! Purchase your new trailer on a payment plan with Trailer Pay! Trailer Pay purchases trailers as a reseller from a network of trailer manufacturers which enables them to sell these trailer to you, the customer on a payment plan. Trailer Pay have trailer options to suit all need in one of the largest networks of locations Australia wide including regional areas. Massive Range of Quality Trailers?, Simple & Fast Approval, Easy Fortnightly Payments. Would you like to purchase a trailer on a payment plan? Why not use Trailer Pay? Trailer Pay is Australia’s largest reseller of Trailers. ?Trailer Pay can obtain approvals for customers that are Self Employed, Full Time and Part Time that are working a minimum of 30 hours per week. Trailer Pay are also able to get approval for people on the following government payments, Aged & Veterans Pension. ?In some circumstances Trailer Pay can also able to get special approval for people working under 30 hours per week, receiving a disability or carers pension, with an overall approval rate of around 98%. Box Trailers, Cage Trailers, Car Trailers, Tipper Trailers, Tradesman’s Trailers, Enclosed Furniture Trailers, Flatbed Trailers, Lawnmower Trailers, Motorbike Trailers, Plant Excavator Trailers, Tilt Trailers, Off Road Trailers, Camper Trailers, Chassis Trailers, Tiny House Trailers, Food Van Trailers, Galvanised Trailers, Second Hand Used Trailers and more. Simply fill out the form below and Trailer Pay will contact you to offer the most cost-effective payment plan. (required) I/We agree for Trailer Pay or its Agents to give you a call to discuss your application. SA Trailers can offer you finance through C&R Finance. Are you a tradie starting a new business? Need help with initial purchase? We can assist.. We can offer: Fast Approval ?Competitive Interest Rates *Loan approval will be subject to your current situation. ? Terms & Conditions apply. Minimum loan amount is $6000 Prices on website are based on an interest rate of 16.9% p.a. over 5 years. IMPORTANT INFORMATION. *This calculation is an estimate only, to find out exact amounts you should speak to C&R Finance. Conditions apply to all loan options and to full or partial repayments. Fees and charges also apply and are subject to change. Interest rates can change other than during a fixed rate or guaranteed rate period. Applications are subject to approval and full terms and conditions will be in the loan offer. ? NOTE: This Comparison rate is true only for the example given and may not include all fees and charges. Different terms, fees or other loan amounts might result in a different comparison rate.